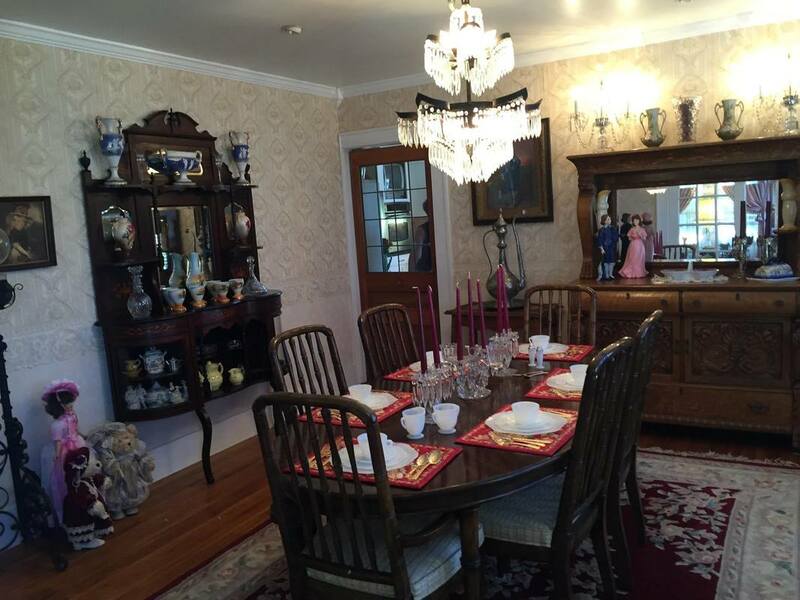 This Historic home was built over 160 years ago. The Victorian farm house was originally built by the Jones family, local residents of Surry County. 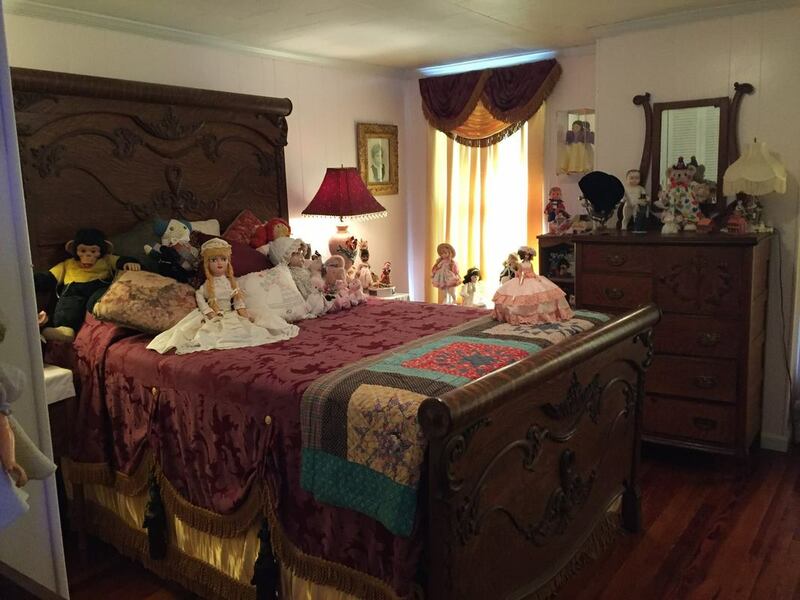 Attractions include the doll room with over 55 dolls, art relics originating from Africa, a Western room (John Wayne relics, Calvary swords ect.). Mr. Atkins has been a stained glass artist for over 60 years. He has designed, built and installed ten stained glass windows and the entire surface of the kitchen counter-tops inside the home. 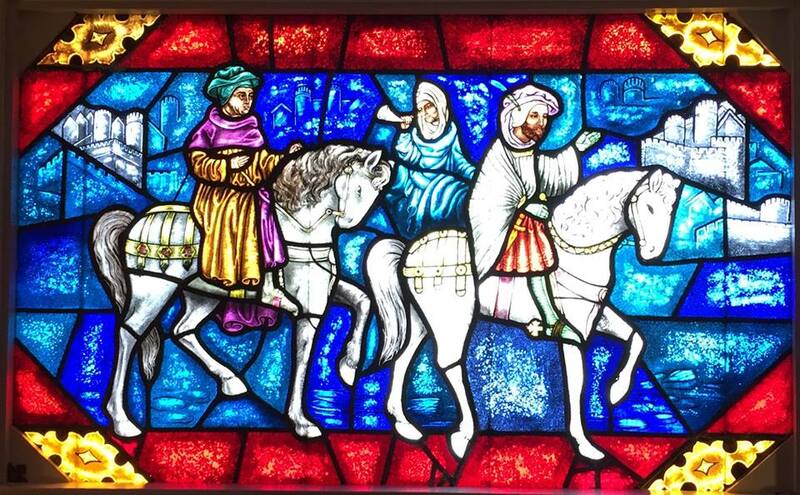 The picture shown is a hand painted, three-dimensional 7ft by 4ft stained glass window of the Canterbury Tales. A unique tour home filled with love and laughter. Walk-Ins Welcome during operating hours. 11:00 am- 5:00 pm ( call in advance if the times of operation do not work with your schedule. Other times are available. Closed December 20-until the first Wednesday in April! Preview of the Western Room! ​​As Ed and April open their home and hearts to you, experience the feeling of stepping back into another time and place. 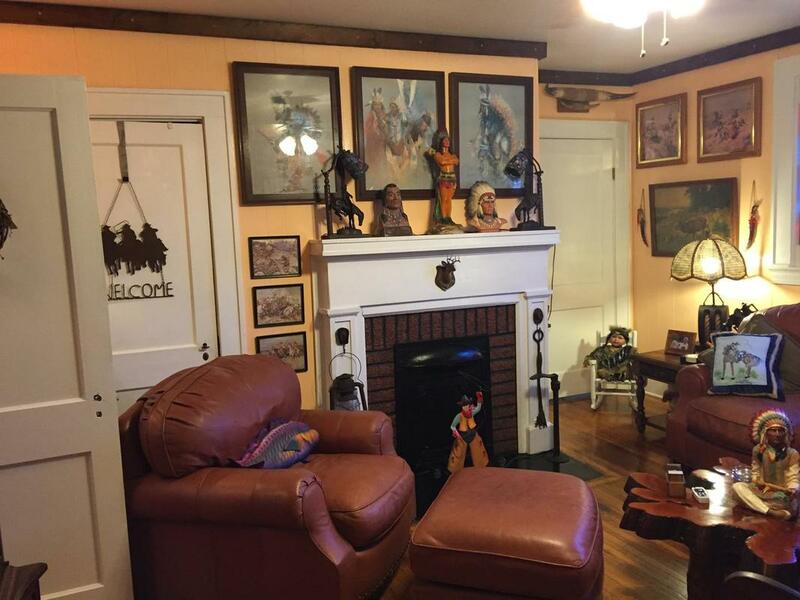 Take a walk through history in our home.